I remember when this came out in the cinema. I was totally and utterly infatuated with this film. I loved everything about ‘The Lion King’. I loved the characters, the animation, the music, and the story. It was unbelievable when I first saw it at the age of 13. Now I am almost 36, and the film still makes me feel like I did when I first saw it. I am still completely in awe of ‘The Lion King’. Six years after the big Diamond Edition of the Blu-ray, which included 3D, we now have the Signature Collection of the film, which has some new bonus features, along with some older ones. The audio and video presentations seem to be the same transfers. Jon Favreau Is Set to Direct ‘The Lion King’ Live-Action Film! It was only a matter of time before ‘The Lion King‘ was to be remade into a Live-Action Disney movie. Well, with the recent success of ‘The Jungle Book‘, ‘Cinderella‘, and ‘Maleficient‘ – Disney is now in the business of live-action remakes of their classic animated films. Their upcoming ‘Beauty and the Beast‘, which stars Emma Watson as Belle is one of the most anticipated films of next year. Plus, ‘The Little Mermaid‘ has already been greenlit for a live-action remake. 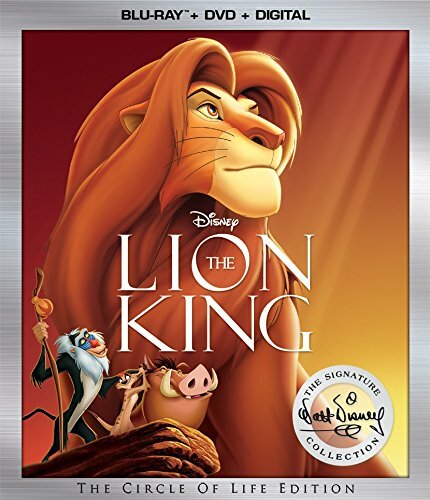 Disney’s ‘The Lion King’ Officially Announced On Bluray!!! Plus A ‘Lion King’ 3D Theatrical Release!!! 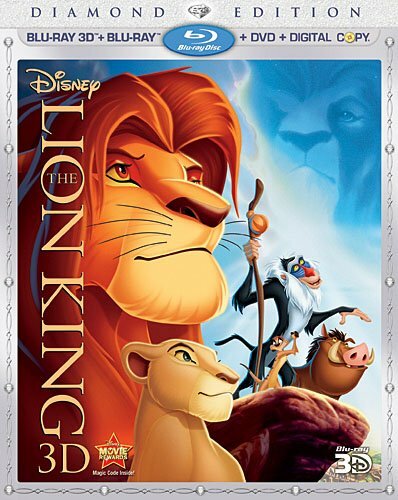 Official word from Disney is that we will be getting ‘Lion King’ on Bluray on October 4th, 2011. Add to that on September 16th, an all-new 3D version of ‘Lion King’ will be released in theaters. Below is the official press release for your viewing pleasure. Unfortunately, Disney is remaking The Lion King in the form of a live-action debacle, similar to the recent horrid turd of a film Beauty and the Beast. Fortunately though, they have Jon Favreau in the director’s chair. I trust him. He gave us Iron Man and the recent live-action remake of The Jungle Book, which was loads better than that Beast movie. There are literally no humans in The Lion King story, unlike Jungle Book or Beauty and the Beast and if it follows the same pattern with the same exact camera shots and songs as its animated predecessor, it’s more than likely going to lose whatever emotion and lovable quality it had in the lifeless eyes of the CGI live-action animals. If you like creepy thrillers, Scream Factory, in conjunction with IFC Midnight, might have the pic for you. ‘Hellions‘ stars Chloe Rose and Robert Patrick (‘Terminator 2‘) and directed by Bruce McDonald (‘Pontypool‘), tells a sinister story of one teenager fighting for her life on Halloween night and it’s coming to Blu-ray and DVD February 2nd. I remember when this came out in the cinema. I was totally and utterly infatuated with this film. I loved everything about ‘The Lion King’. I loved the characters, the animation, the music, and the story. It was unbelievable when I first saw it at the age of 13. Now I am almost 30, and the film still makes me feel like I did when I first saw it. I am still completely in awe of ‘The Lion King’. And Disney is on a roll now with this 3D takeover, so they are releasing their old catalogue of films on blu-ray as well as in 3D. 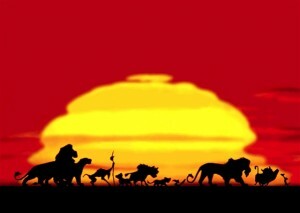 In my opinion, ‘The Lion King’ might be Disney’s greatest 2D animated masterpiece. This blu-ray release is a MUST OWN. Roundtable Interview With ‘Lion King’ Animator, Tony Bancroft!!! 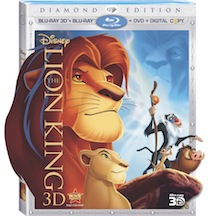 Earlier today in anticipation for the release of Lion King 3D and for tis first time on blu-ray, I had the pleasure to sit in a virtual roundtable interview with Tony Bancroft. Bancroft was one of the supervising animators on ‘Lion King’. He also directed Disney’s ‘Mulan’. Before we started with the interview he drew by hand a picture of Pumbaa. It was amazing to see him bring that character to life. After that I watched one of the extras from the upcoming ‘Lion King’ blu-ray and then on to the Q&A. Enjoy. And don’t forget to get the ‘Lion King’ On Blu-Ray!! 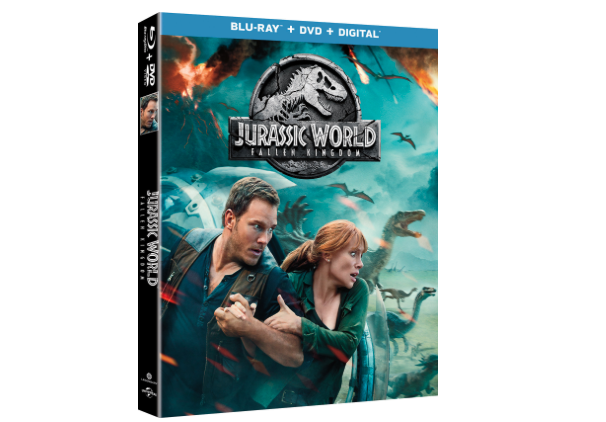 Blu-ray Review: ‘Jurassic World: Fallen Kingdom’! ‘Jurassic World‘ burst onto the scene as a sequel/reboot hybrid film that made over $1.6 billion at the box office. Of course, there would be more, but at what cost? 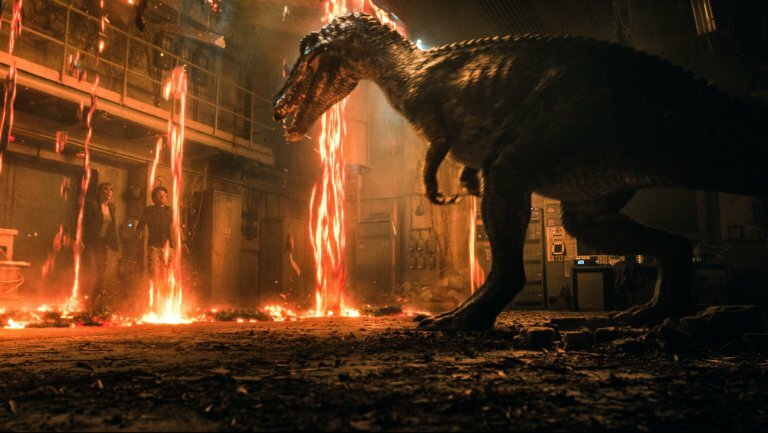 ‘Jurassic World: Fallen Kingdom‘ takes place a year or so after the events of the first film where the island where the theme park and dinosaurs were on are ravaged by an exploding volcano. Chris Pratt and Bryce Dallas Howard team up again to save the dinosaurs, however they are misled by a maniacal businessman who has other plans for the dinosaurs, mostly being selling them at an auction to warlords across the country in hopes of turning these dinosaurs into military killing machines with freaking lasers attached to their heads for a profit. I’m not making this up. Spoiler-Heavy Thoughts on ‘Jurassic World: Fallen Kingdom’! Jurassic World: Fallen Kingdom is a huge waste of time. The first Jurassic World was light on story and by no means great, but it had a healthy dose of mindless entertainment. The sequel though, wasn’t even enjoyable. Jurassic Park is one of my favorite movies of all time. It was the first PG-13 movie I ever saw in a movie theater and I spent years playing with dinosaurs after seeing it. 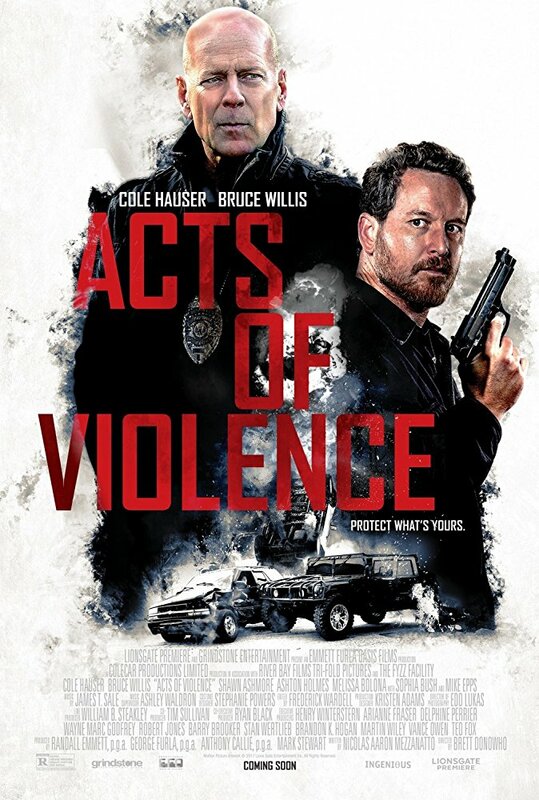 I love these kind of movies, but this sequel is just so, so bad. Jurassic World: Fallen Kingdom fumbled one of the easiest plots to execute in Hollywood: Have dinosaurs attack people while Chris Pratt charms the audience. 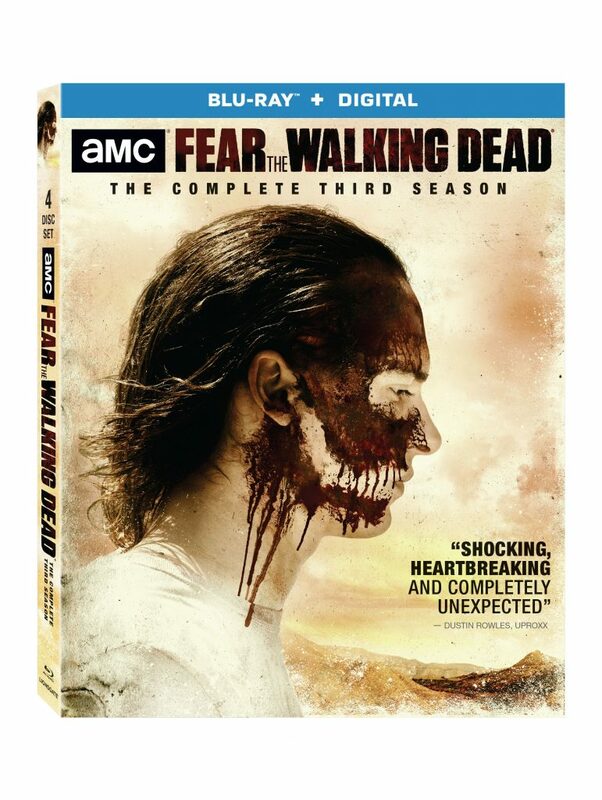 Hey guys, Jana here, Fans of ‘Fear The Walking Dead‘ you just have a few more weeks to wait before you can bring home ‘Fear The Walking Dead‘ Season 3 on Blu-ray and DVD, with Digital HD. March 13 is the day you need to circle on your calendar because Lionsgate and AMC delivers the television drama for home viewing. 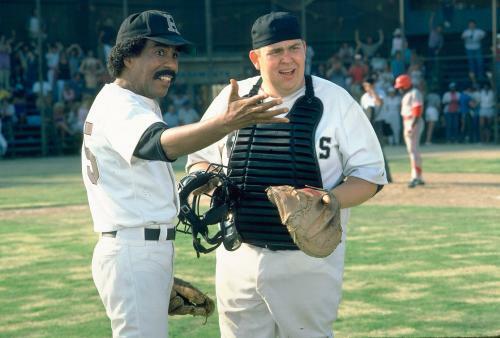 ‘Shaft’ Is Making A Comeback From Netflix and New Line!!! ♪♫Who’s the cat that won’t cop out when there’s danger all about? If you were unsure the answer was anything other than “Shaft”, you best be getting yourself a film-education right fast and in a hurry. If you just can’t seem to get that done, Netflix will give you a primer when they reboot the classic 1971 film that was already rebooted once in 2000.